KÉK is an independent architectural cultural centre operated by young Hungarian architects, artists and civilians. The centre aims to open new perspectives in architectural and urban thinking in Hungary through its fresh, provoking and focused programs, relevant also in international context. This organization is currently the only internationally acknowledged professional platform representing contemporary architecture in Hungary. KÉK has been engaged in acclimatization and dissemination of urban gardening in Hungary since 2010. Establishing show-gardens has helped its initiative to become a self-organizing movement. 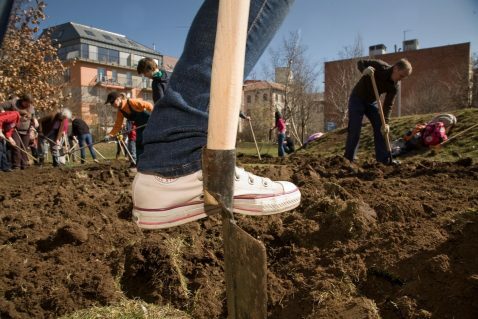 Our foundation has contributed in setting up many community- and school gardens as professional partner and operating four community gardens in Budapest.